You may be aware of SolidWorks Plastics, but are you aware of the benefits that its functionality could give you? SolidWorks Plastics is a fully integrated tool set for SolidWorks that allows users to simulate the injection molding process for your SolidWorks designs. 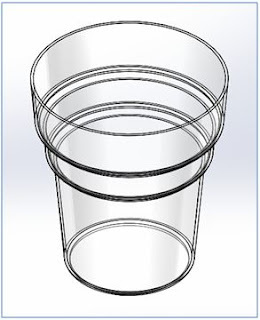 For this example, a basic plastic cup made from ABS Polycarbonate is used. 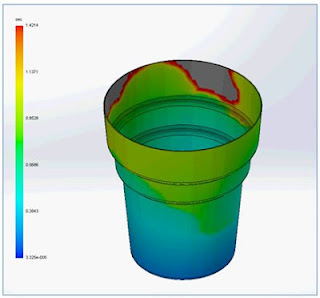 Using SolidWorks Plastics Professional to run a simulation study, it can be seen that the original wall thickness of the cup was too thin which caused a “short-shot” and the cup would not have been moulded fully. This is where the plastic material reaches a solidified state through cooling before it can completely fill the mold and is often evident where thin sections of the design cause the plastic to cool too quickly. As SolidWorks Plastics is fully integrated into SolidWorks, it is simple to return to the Feature manager design tree and edit the wall thickness to increase it. A re-mesh is required when the physical geometry of the model has been altered. Using the same settings as the previous simulation, the cup now fills with no issues. 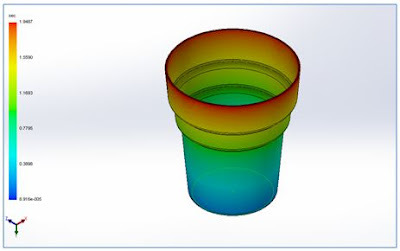 As injection molded plastic components are typically used for large runs of plastic components, we can use the functionality of SolidWorks Plastics Premium to start considering a multi-cavity mold meaning that more than one cup can be molded at the same time. Multiple copies of the Cup part were inserted into a new part file positioned as they would be in a mold. A sketch was also created to use for runner creation letting the flow of plastic be controlled to each component. The runners for each part should be roughly the same length to ensure even filling of the mold cavities. In this example, the runners have been made exactly the same length. These runners are then defined in the study and a Gate location is set at the start of the runner system. And, as we know that the cup now fills correctly, we can create a shell mesh of the parts to simulate how multiple cavities will fill. With the shell mesh completed and the material and moulding machine chosen, the study can be run. SolidWorks gives a wide range of results including the Fill time and the Cooling time. 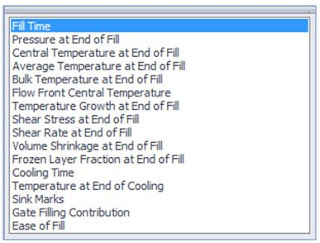 This allows you to estimate production run times taking the cooling time before ejection from the mold in to account. There are also options to view areas where Sink Marks, Weld lines, and Air traps may occur so that you can consider alternate gate locations and vents in the mold tool. By using SolidWorks Plastics Professional, it is possible for designers to fully consider the manufacturing capability involved in the final production of their plastic designs. This allows them to anticipate and re-design at a stage in the design process where the cost implications are minimal. 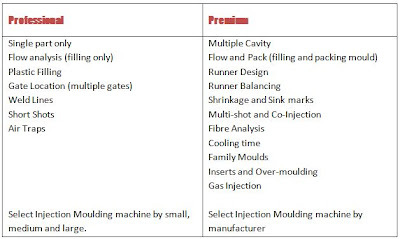 By using SolidWorks Plastics Premium, the mould tool can also be considered through the introduction of family molds and runner systems. This has the possibility to save on costly re-working or re-designing mold tools. Want to learn more about SolidWorks Plastics? Visit our website to watch our First Look video and get a product demo. Duncan Crofts is an Applications Engineer & CSWE at TMS CAD Centre, a SolidWorks Value Added Reseller in Scotland. He is a regular contributor to the TMS CAD Centre blog. TMS CADCentre - is a SOLIDWORKS Reseller based in Scotland providing 3D CAD Design Software, analysis software & product data management software. The company was formed in 1981 and now pleased to be celebrating 37 years in business. TMS CADCentre is the only UK SOLIDWORKS Reseller based and funded within Scotland and have been providing SOLIDWORKS software, training and support since 1996 when the product was first launched in the UK.